New Itinerary for 2020! Airfare Included! 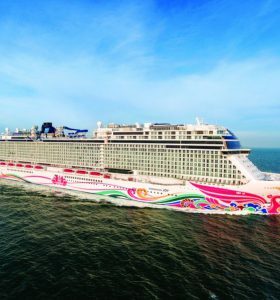 Board the recently built Norwegian Joy for your sixteen night cruise from Los Angeles to Miami, including a full transit of the Panama Canal! Marvel at this feat of engineering as you travel the entire 40 miles from the Pacific Ocean to the Caribbean! No where else will you find an experience like this! Don’t wait!